Is there anyone else out there who loves the Macy’s Parade? I love it. For the past fifteen years, I’ve watched the parade on Thanksgiving Day. 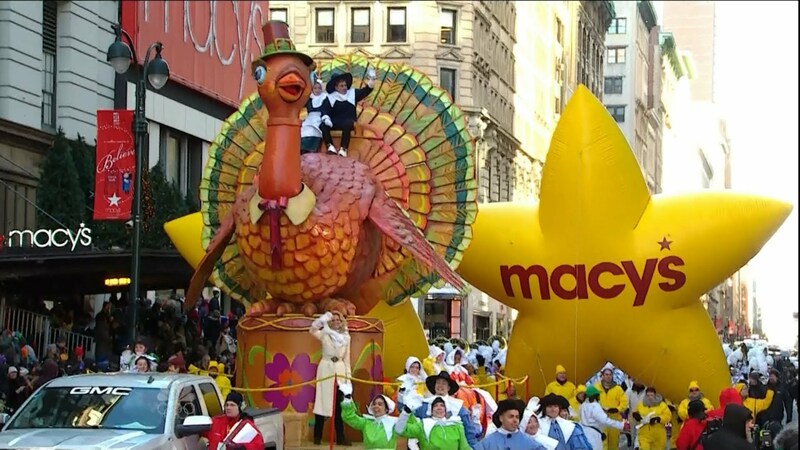 For those of you who have never heard of it, the Macy’s Thanksgiving Day Parade comes on every Thanksgiving Day on NBC. It’s as much a performance as a parade. They have popular singers there usually riding on floats, the Rocketts performing their dance numbers, balloons, confetti, and a bunch of other fun stuff. It’s sponsored by Macy’s and has been since 1924. The parade first started in 1924 including animals from the Central Park Zoo! Since the parade was such a hit, they’ve done it every year since. in 1927, they first started using large balloons in their parades. The balloons, at one point, were equipped with safety valves that allowed helium to gradually be released. After each parade, the balloons were released into the sky. After floating around for a while, the balloons would crash somewhere. Whoenver found a balloon was given an award by Macy’s. However, that is no longer true. Finally in 1943, the parade first partnered with Disnery, which it has done ever since. That’s pretty much the history. 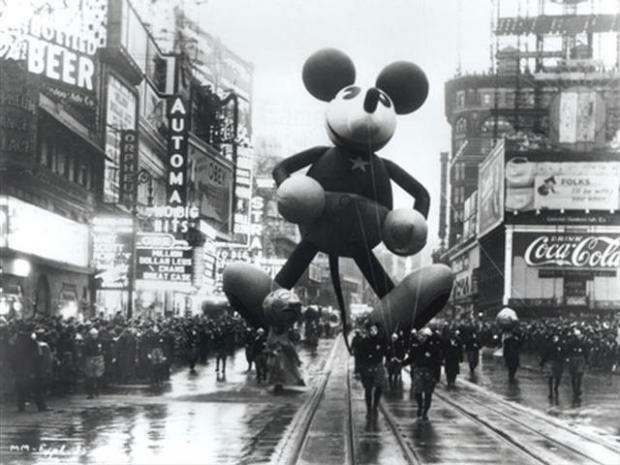 The Mickey Mouse balloon from the Macy’s Parade from sometime in the 1940s or 50s. 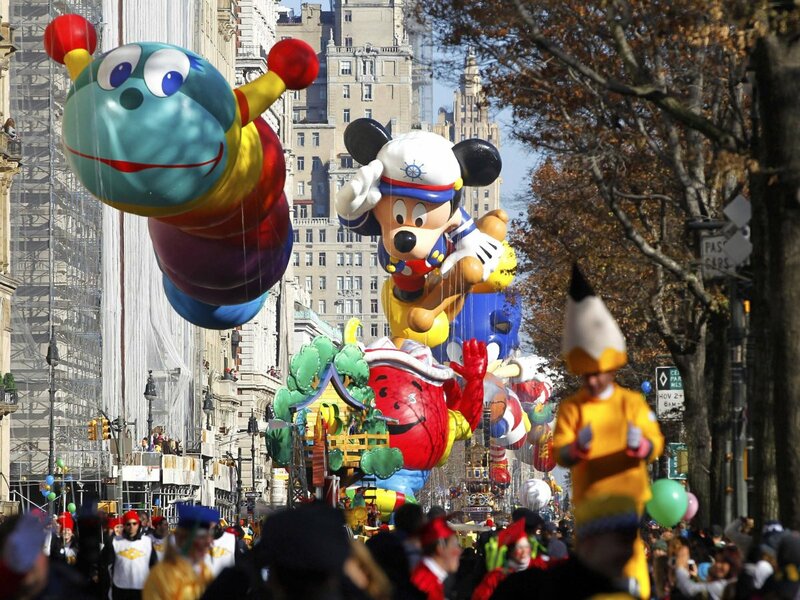 Tune in to NBC on Thanksgiving Day for the parade live in 9:00 and a rerun of the 9:00 parade comes on at 12:00.